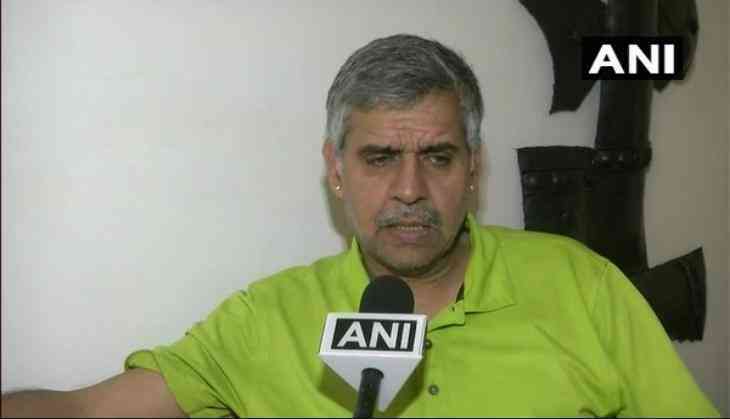 The AAP's political rival and former partner, the Congress party, on Monday lashed out at the Aam Aadmi Party (AAP) over the incident of the assault on Delhi Chief secretary Anshu Prakash. The Congress leader Sandeep Dikshit accused the Aam Aadmi Party of supporting malpractices and corruption, while condemning the entire incident of assault.
" It clarifies how AAP is involved in malpractices and corruption. If something good happens Kejriwal and his MLAs take credit and if it's something bad onus falls on government", he told ANI. He further accused the party of supporting hooliganism and promoting violence. The Aam Aadmi Party had conducted a meeting of members of legislative assembly at Chief Minister Arvind Kejriwal's residence on Monday night to discuss the faulty implementation of Aadhaar, leading to deprivation of the poor from receiving the benefits of the ration card. Apparently, the members of the legislative assembly were under pressure from the public to ensure a fair supply of subsidised commodities to the ration card-holders. "About 2.5 lakh families deprived of rations last month due to faulty implementation of Aadhar. MLAs were under tremendous pressure from the public. There was a meeting of MLAs at CM residence", as according to an Aam Aadmi Party statement. The Delhi Chief Secretary was also present during the meeting, who was being allegedly physically assaulted by the enraged MLAs. Aam Aadmi Party, however, refused such allegations by the Chief Secretary and accused the latter of using bad language against the MLAs. The party said, "Chief Secretary refused to answer questions saying he wasn't answerable to MLAs and Chief Minister and that he was answerable only to LG. He used bad language against some MLAs & left without answering any questions. Now he is making ludicrous allegations".